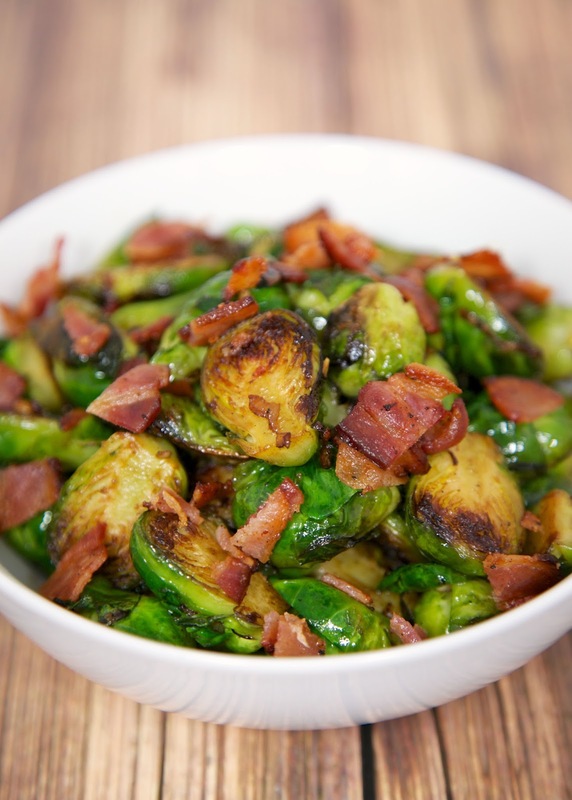 Sautéed Brussels Sprouts with Bacon - just like our favorite restaurant! Ready in about 10 minutes! Great weeknight side dish. Chicken Legs recently discovered his love for brussels sprouts. He ate them at Gianmarco's one night and fell in love with them. He has been asking me to make them for him at home. I've never made brussels sprouts at home, but I was willing to give it a whirl. I tried to make them similar to what Chicken Legs ate at Gianmarco's. I cooked some bacon and then added the brussels sprouts until they were nice and brown. I added a little drizzle of balsamic vinegar. Chicken Legs gave these two thumbs up! He has already requested them again this weekend!! In a large skillet, cook bacon over medium-high heat until crispy. Remove bacon from pan and chop. Leave drippings. Add butter and shallots to pan. Cook over medium-high heat for 1 minute. Add brussels sprouts and cook for 8-9 minutes. Add garlic, bacon and balsamic to pan. Cook 1 minute. Serve immediately. We like sauteed sprouts and yours look very good. Definitely love my brussels sprouts with bacon. The bacon fat adds a nice rich taste and the saltiness is perfect. My son wanted to try Brussels sprouts. I tried this recipe and it will be added to our favorite food list. Do you think I could use frozen sprouts? I bought a bag at Trader Joe's & have been dying to use them. Thanks for the feedback! Jen - I think that would be fine! I've made this twice. So delicious. Tastiest recipe I've found for Brussels sprouts. And I'm an amateur cook, which means that if I can make it, anyone could. So quick and easy! 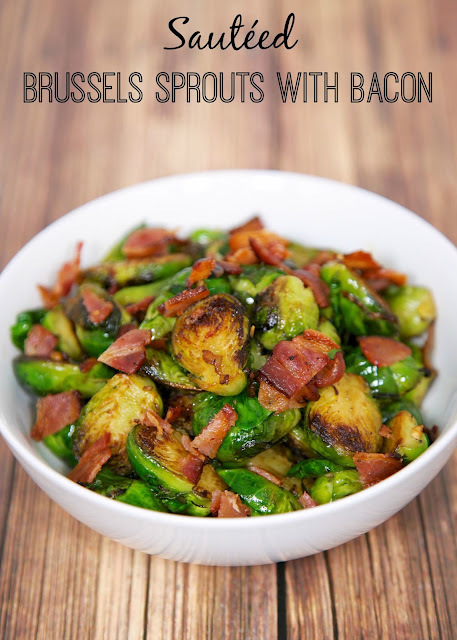 Best sprout recipe we have tried! Didn’t even add salt and pepper, it was so yum! That balsamic really added a nice touch.